← On Oscar shows and momentum. So here’s one I didn’t direct, or edit, or shoot, or really do much of anything. 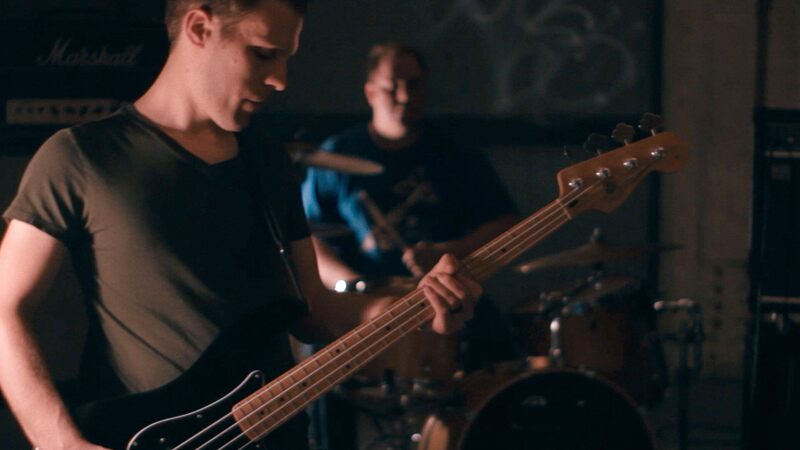 Dust and Ash is the second of two videos we shot in one day months ago. As I described here, the idea was to make two for the price of one, so to speak. For this second one, Shane took the reins all the way. He envisioned, he storyboarded, he directed, he shot, he edited. I sat in a corner and turned the lights on and off in time with the music. Even my daughter did more work – she pushed the wheelchair used as a dolly during the shoot, while I sat on the ground. Not a bad way to spend a couple hours. Technically, I’m listed as “producer,” but all that really means is every couple weeks I’d nag Shane to see how editing was going. Other duties included reminding him to include a copyright slate and signing off on the video’s upload to Vimeo. Meanwhile, Shane was stuck coordinating with the record label regarding release dates and publicity. Working on this video was quite literally the least I could do. But I’m proud of Shane’s work and of the band’s performance, and I’m proud to have the Argo One name attached, which is why I’m showing it off here.